A new entry for our series of photos of newly fired Philly coaches returning to civilian life. 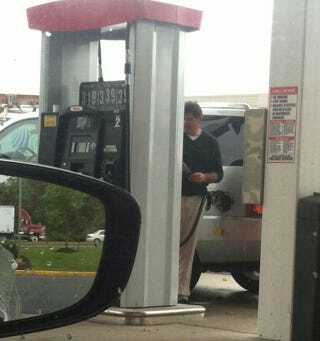 The person who tweeted this says it was taken in New Jersey, where it's still illegal for motorists to pump their own gas. But the exact location isn't important. That's Peter Laviolette, axed this morning as coach of the Flyers. He's getting ready to hit the road.